The proposed changes to the Centrelink Age Pension announced in last years' federal budget are now law, and will take effect from 1 January 2017. Two significant changes will be imposed, these may be good and bad news for Age Pensioners. It’s important to review these changes and understand how they may impact your entitlement. From 1 January 2017 there will be an increase in the amount of allowable assets that you can have in order to qualify to receive full Age Pension. If you are single and own your own home, your assets (excluding your home) can be up to $250,000 in value and you will receive the full Age Pension. This is an increase from the current limit of $209,000. If you are a couple, then you will now be able to have up to $375,000 in combined assets apart from your home and you will receive the full Age Pension. This is an increase from the current limit of $296,500. If you are single you can own up to $450,000 in assets and you may receive the full Age Pension. This is an increase from the current limit of $360,500. If you are a couple, then you will now be able to have up to $575,000 in combined assets and you may receive the full Age Pension. This is an increase from the current limit of $448,000. It is estimated that this increase will benefit around 50,000 individuals who currently receive a part age pension but will be entitled to the full Age Pension once the thresholds have increased. A further 120,000 on a part Age Pension can expect their payment to increase by $30 per fortnight. From 1 January 2017 there will be a reduction in the amount of assets that you can own in order to qualify to receive a part age pension. If you are single and own your own home, your assets (excluding your home) can be up to $542,500 in value and you may receive a part Age Pension. This is down from the current limit of $791,750. If you are a couple, then you will now be able to have up to $816,000 in combined assets apart from your home and you may receive a part Age Pension. This is down from the current limit of $1,175,000. If you are single you can own up to $742,500 in assets and you may receive the part Age Pension. This is down from the current limit of $943,250. If you are a couple, then you are able to own $1,016,000 in combined assets and you may receive a part Age Pension. This is down from the current limit of $1,326,500. Please note: From 1 January 2017, the taper rate will change to $3.00 per fortnight for every $1,000 of assets above the lower assets test threshold. These changes will impact some people who will either lose their Age Pension or DVA pension entitlement completely or see their part payments reduce. If you are impacted, then think about how you’ll make up the shortfall to provide for your living costs. Putting together a budget may be a good place to start. If it happens that you’re no longer eligible for the Age Pension, you may automatically qualify to receive a Commonwealth Seniors Health Care (CSHC) card to help with the costs of prescription medicines listed on the Pharmaceutical Benefits Scheme, as well as bulk billed doctor appoints, and cheaper out of hospital medical expenses (through the Medicare Safety Net) - depending on your state, territory, local government and private businesses, there may be additional concessions offered, at their own discretion, in relation to health, household, transport, education and recreation. Veterans whose service pension is cancelled under this measure will retain their Veterans’ Affairs Gold Card. There may be some things you can do to plan for this change, we will be able to review your situation and help you assess your options. If you are considering reducing your assets or giving some away to ensure you meet the new limits, then you need to be aware of the gifting rules that Centrelink apply and how they might affect your Age Pension assessment. See our video on gifting here. 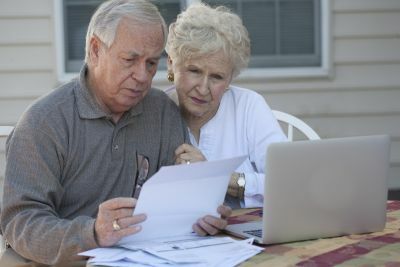 NB - The new assets test will also apply to other social security pensions, including disability support pension, wife pension, carer payment, bereavement allowance, widow B pension and certain pensions administered by the Department of Veterans’ Affairs as well as parenting payment and allowances (widow allowance, youth allowance, austudy payment, newstart allowance, sickness allowance, special benefit and partner allowance).